Actor Vaibhav was last seen in the 2017 film ‘Meyaatha Maan’. The actor is currently shooting for his next film titled ‘Sixer’. He is also filming for an untitled film, produced by his Chennai 28 co-star Nitin Sathyaa. Here’s a breaking update from the movie. Our close sources have now confirmed that director Venkat Prabhu will be playing the baddie opposite Vaibhav, and almost 60% of his portions have been completed. Sources have also revealed that VP will be playing a bad cop in this movie. Seems like he is following the footsteps of the character ‘Vinayak’ from his movie ‘Mankatha’. 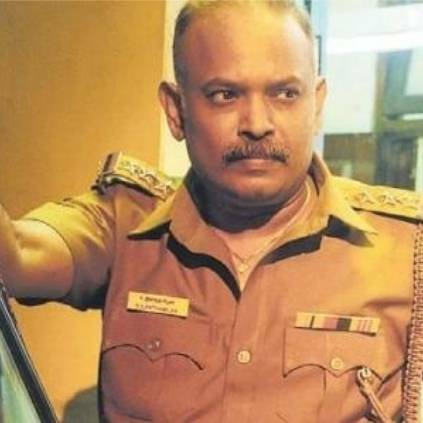 Venkat Prabhu had already acted in films such as 'Vadacurry' and 'Ji'. He recently played a cop in 'Kalavu', which did not have a theatrical release, as it released in an online streaming platform. This yet-to-be-titled film stars Vaibhav and Vani Bhojan in lead roles, along with Poorna and Eshwar Rao playing pivotal roles. The movie is directed by S.G.Charles and is produced by Nitin Sathyaa under his banner Shvedh Group. Watch this space for more updates. People looking for online information on Nitin Satya, Vaibhav, Vani Bhojan, Venkat Prabhu will find this news story useful.